Simon cut his teeth in the financial services world working for Royal liver in the 90s gaining professional qualifications in financial advice including mortgage advice, then progressing to working in the banking sector working for a number of high street banks, then in the 2000s changed to the property sector becoming a financial advisor for a corporate estate agent covering a large section of the east midlands, after a number of successful years he became friends and worked well with a likeminded successful Estate Agency branch manager Andrew Platt. In 2006 they started right 1 estate agents in the first office on George street hitting the ground running and building swiftly adding a letting department soon after. Over the next 10 years Simon navigated the business through one of the biggest downturns in the property market. 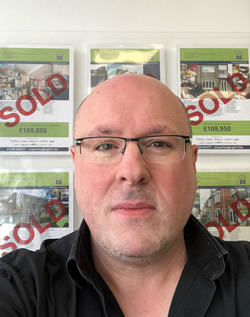 In the last few years Simon has concentrated on the rental and HMO market, and has worked closely with landlords to help them prepared properties for HMO use, guiding them through the licencing process and project managing some of the larger developments. With over 26 years in the industry, Simon has built up a wealth of knowledge and experience to enhance your relationship with Right 1. Andrew set up Right 1 Estate Agents just over 10 years ago with his business partner and with over 25 years of Estate Agency Experience, within the good and the bad markets have allowed Right 1 to diversify not just into selling homes for the best price & service, but having a strong rental market and sizable rental portfolio with an in depth knowledge of this market. With the overall experience and in depth know how in the property sector the team has set its stall out to be the best Independent Property agent not just in Corby but Northamptonshire. We strongly believe in our Right 1 slogan (The Agency of choice) and look forward to providing all our customers with our exceptional customer service and drive. We would like to congratulate Eamonn on his promotion to Sales Manager, His commitment and tenacity has had him stand out from his peers and will be a value to Right in his new managerial role. Eamonn has lived in various areas of Corby throughout his life and therefore has exceptional knowledge of the local area, which he uses to his advantage in many aspects of the role. 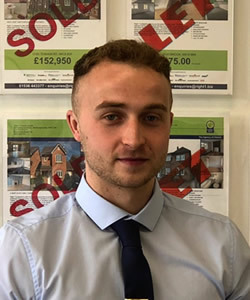 After showing a keen interest in property development Eamonn joined the team in early 2016, as a lettings advisor, however he has since managed to adapt and progress his role within the team. He is very keen to use his authentic, engaging personality as he strives to ensure second-to-none customer service for all clients. Outside of work, Eamonn enjoys keeping fit at the gym and going out with friends. He is also a big fan of Aston Villa FC. 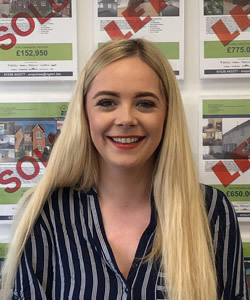 Beth bought her first property in September 2017, and as a result became passionate about all aspects of property, and became very interested in the market, especially as she was going through the progress of buying her own property. So, once she knew that this role was being advertised, she applied for it with no hesitation. Beth has lived in corby all her life, so she as a well rounded knowledge of the town as well as the surrounding villages. Before taking this role, Beth was a health care assistant… two completely different roles, but from her previous position she has gained excellent people skills and is very welcoming. 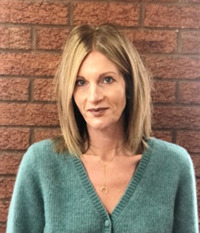 Her hobbies are, socialising with friends and family as she is very family oriented, she is into a number of varied sports, as she previously played football and ran for Corby, she also loves going camping. 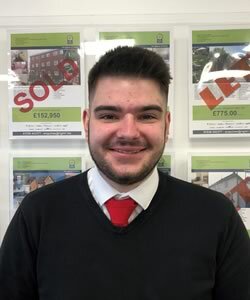 George joined the team in October 2018 after showing a keen interest in the Property industry and has intergrated as a valued member of the right 1 team who has exceled within this role ever since, whether it be liaising with tenants or working alongside Landlords. He prides himself on his attention to detail, always looking to make sure anything he works on is completed to the best of his ability. He believes that communication is key when solving any issue and will always strive to provide the best service for any clients he works with. In his spare time, he likes watching Films and TV, and supports Chelsea FC. I am the Company Director of TMC - The Mortgage Centre (Northants) and a fully qualified mortgage consultant. I have worked within the Financial Services Industry since 1988 for various life insurance companies and have also been based within Estate Agents, before starting The Mortgage Centre (Northants) in April 2001. "I believe that every person should be given the best advice with constant communication to ensure as smooth a process as possible. This is a service industry and it is our aim to constantly strive to give the highest service and standard to every client" I have been married to Sally since 1994 who owns her own very successful kindergarten and have two wonderful sons, Samuel & Kieran, who I am very proud of and enjoy every spare minute with them all. We are deeply saddened to inform you of the passing of Steve- Lettings Manager at Right 1, and an all-round outstanding gentleman. Steven Hammond, , peacefully passed away Saturday, 29th December, 2018. Steve passed away after a long, and hard-fought battle with Sarcoma, a rare form of Cancer. Steve and his family have been very active in raising awareness for this rare-strain of cancer. The offices will be closed from 12pm onwards, on Wednesday 16th January as all staff attend Steve’s funeral and pay our final respects. Steve came out of retirement to work at Right1, He said retirement is not for everyone but definitely not for him. Steve spent 24 years in the forces and although he was from Corby, he spent a large part of his life seeing different parts of the world in the Royal Navy. Steve often spoke about and reflected on his time in the navy as he was extremely proud of this. Always the first to arrive at the office in the morning! 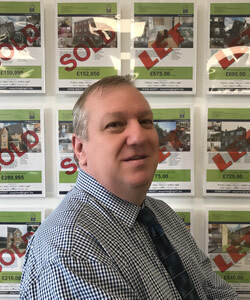 Steve worked tirelessly hard in his role as Lettings Manager and we are incredible thankful for this and honoured to have had Steve at the company. His main aim in the role was to make sure landlords and tenants got the best service he can provide, which was always the case. When things got difficult, or advice was needed, Steve was always more than happy to offer his help. Steve was an extremely pivotal part of the team, who trained many of our employees, past & present, who have a great deal to thank him for. His forces background often came in to play as he always went above and beyond and would not accept anything less than providing the best service possible. He worked and lived in Corby for most of his life. He remembered how Corby used to look back in the 70’s, when the steel works dominated the towns skyline and was always one to tell people of the towns history. 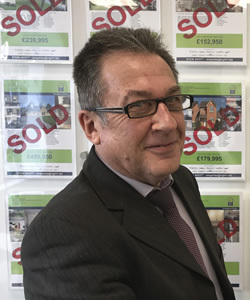 He prided himself in having a vast amount of knowledge in his role as the lettings manager, and was extremely helpful to clients, using his experience and knowledge to help people when called upon. Steve will always be missed, we are extremely proud to have had the honour of knowing such a remarkable man, our thoughts are with all of his family and friends. May he rest in peace.